Flappers may have had an edgy, bold aesthetic, but young 1920s socialites were the epitome of polished, shimmering style. Dubbed “Bright Young Things” by the press of the day, these ladies and gentlemen threw lavish, fancy dress parties, elaborate midnight scavenger hunts, extravagant costume balls, and partly inspired F. Scott Fitzgerald to write The Great Gatsby. 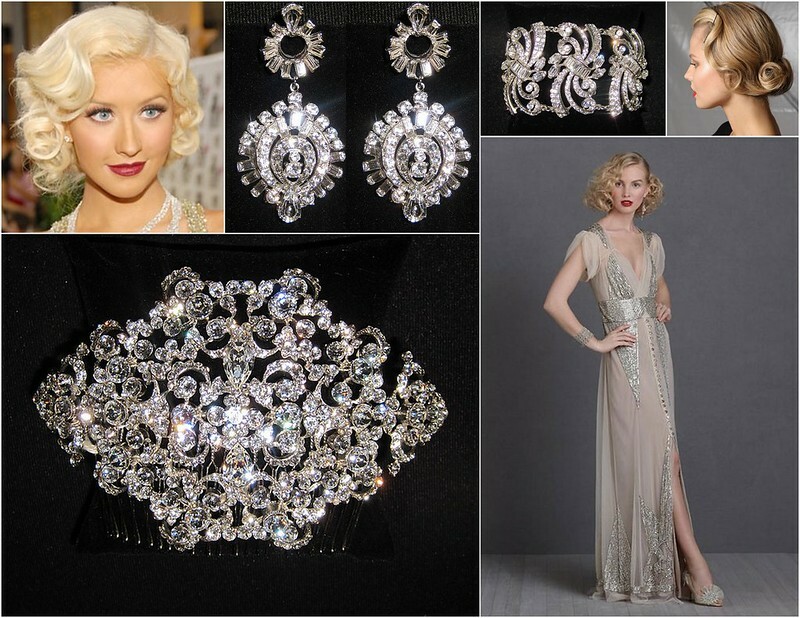 All the gorgeous clothes, decadent jewelry, and incredible parties are brought to life in the new Gatsby movie, and we can’t wait to see it again! Gild your Art Deco-inspired wedding day ensemble with 1920s socialite panache starting with The Dress. Choose a gown influenced by the slinky silhouettes of the day with off-the-charts detail. Think layers of lace, beading, crystals and embroidery – the more luxe, the better. Don’t forget, a fabulous fur wrap is a must! 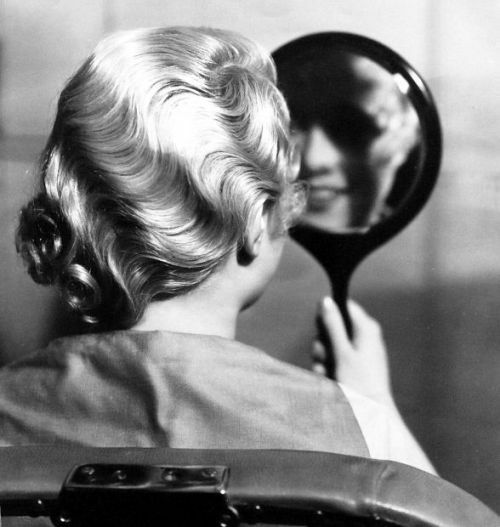 Keep hair and makeup sophisticated, but always glamorous. Polish your look with jewels so splendid they could easily be family heirlooms. After all, no socialite is complete without dazzling chandelier earrings, stunning, architectural CZ cuff bracelets, and divine Art Deco-inspired headpieces! 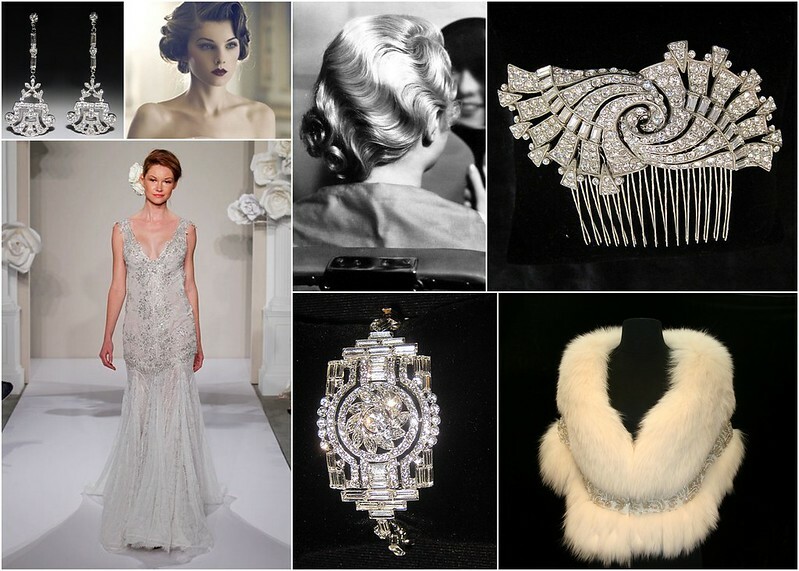 Find the bridal accessories that perfectly complement your Great Gatsby wedding day style by shopping online or visiting us in Brooklyn at Bridal Styles Boutique! This entry was posted on Tuesday, May 14th, 2013 at 10:00 am	and is filed under Inspiration. You can follow any responses to this entry through the RSS 2.0 feed. You can skip to the end and leave a response. Pinging is currently not allowed.